Something that I have researched and looked into multiple times over the past few years is how to improve my referrals and leads on survey sites. Sure you can create your own website but that can take some time to pick up speed to the point where your making a consistent income online. Now if your looking to gain more referrals on survey sites but have never considered social media it could be worth trying it out as it can be a great way to increase your referrals dramatically. In this post ill be talking you through and sharing a social media tool called Crowdfire that i have been using to optimize my referrals and that you can use to do so to. Crowdfire is basically an a cool that helps you manage and get the best out of your social media accounts. So you can add your Facebook, Twitter, Pinterest, Linked in, Google and a few other social media accounts to the app where you can manage them directly from there. So you have signed up for a reward site that has a good referral system however you want to get people to sign up under you so you can make a passive income. Unfortunately people won’t just find your referral links on there own, of course you can share it with friends but thats only a handful of people who may sign up under you. In my opinion along with making a blog sharing your links on social media is probably the next best way to gain referrals. Why, you may ask and that is simply because there are so many people using social media that there are always going to be people that are interested, in this case making money online. Now let me get on to where Crowdfire comes in this. What you can do with them is not only can you build your followers but you can also scedule multiple tweets and posts on your accounts. So one thing you can do is write a post and then include your referral links which you can then post on the account of your choice aswell as the time of it. What Else Does Crowdfire Have To Offer? Aswell as sceduling when you want posts to be posted on your social media account there are also a number of other features avialable to you which I’ll go over now. 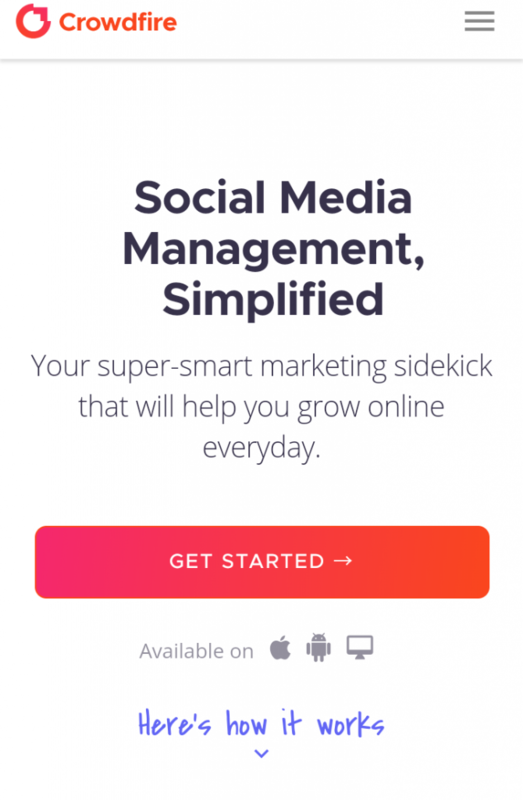 This feature is pretty awesome as everyday Crowdfire will take a look at your social media and give you prescriptions and tasks to do to help grow your social media. So in this case by completing these it will help your posts get seen by more people which will dramatically improve your referrals. This is something I like quite a lot as its time efficient and really easy to do. It will take you a max of 10 minutes a day and involves you doing tasks that consist of you following targeted users and sharing posts. If you are a follower of my posts you may know that I do also recommend creating your own website to improve referral numbers. What you can do with Crowdfire is connect your website to the app, where that is Blogger or WordPress. What Crowdfire do then is they monitor what you do on your site so lets say you write a post on your blog you will get a notification from Crowdfire which you can then click on to share that post on all your social media accounts. I’ve had quite a lot of success with Crowdfire so I thought id share it with you guys for any of you who are looking to improve referrals where that is through survey sites or something else. So if your interested in checking them out you can find the app by clicking here. How To Start Earning On The Side When You Have No Skills! How To Save Money On Online Shopping Like A Boss!